This valley lies in the southern part of the Brenta Group. It runs from the Ponte Pià gorge (River Sarca) as far as the Gotro Pass (1,847 m.) which separates it from the Agola Valley. 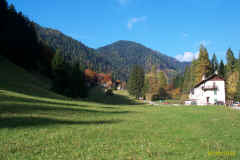 A 15 km unmetalled road runs along it as far as the Malga Movlina. To the west it is bounded by the rock spurs of the Sabbion-Tov-Iron chain of mountains and to the east by the Cresta dei Camosci crest and the Vallon subgroup. Its most important lateral valleys are the Sacco and Vallon which lead towards the Prato Fiorito hanging glaciers and which are an alternative, if somewhat tiring, route to the Dodici Apostoli Refuge or to the Ideale path. From the geological point of view the Algone Valley has crystalline formations (granite) which alternate with the dolomite rock of the Brenta Group. Near the Ghedina Refuge (1,120 m.) the remains of an old glassworks from the 18th century can be seen. There are a wide range of species of trees while animals found here include two prestigious birds of prey, the lammergeier and the golden eagle. Connections with public transport TRENTINO TRASPORTI sino a Stenico. 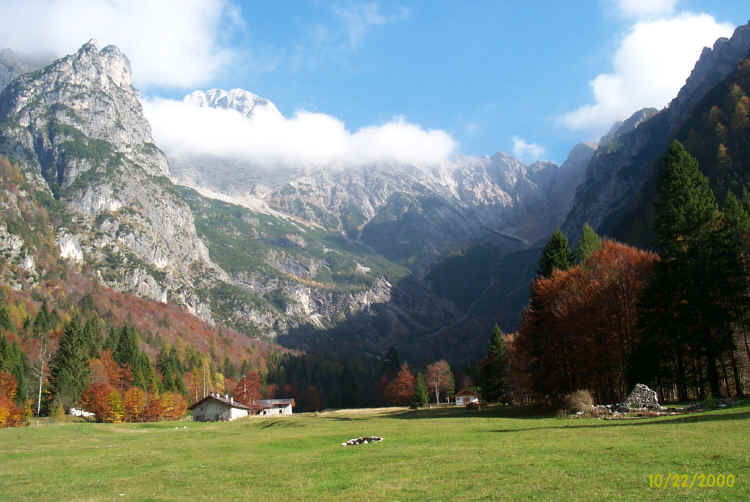 * From the Ghedina Refuge to the Malga Nambi (1,375 m.): go up as far as the car park and then turn right onto path 341b (which joins path 341 a short distance above) and climb up the Sacco Valley past the Dodici Apostoli Pass (2,620 m.) until you come to the Dodici Apostoli Refuge. **A short distance after the Ghedina Refuge, near the Malga Vallon (1,210 m.), you can take path 359 which climbs up the Vallon valley to the Busa Fonda hollow; from here the path winds between the slopes of the Cima Vallon peak in the west and Corno di Senaso peak in the east and crosses the Busa di Vallon Inferiore hollow. Continue climbing between the Le Tose and Cima Padaiola peaks as far as the Busa di Vallon Superiore hollow and then the Vallon Pass. From here, the route passes the Dodici Apostoli hanging glaciers to join path 341 which comes up from the Sacco Valley. 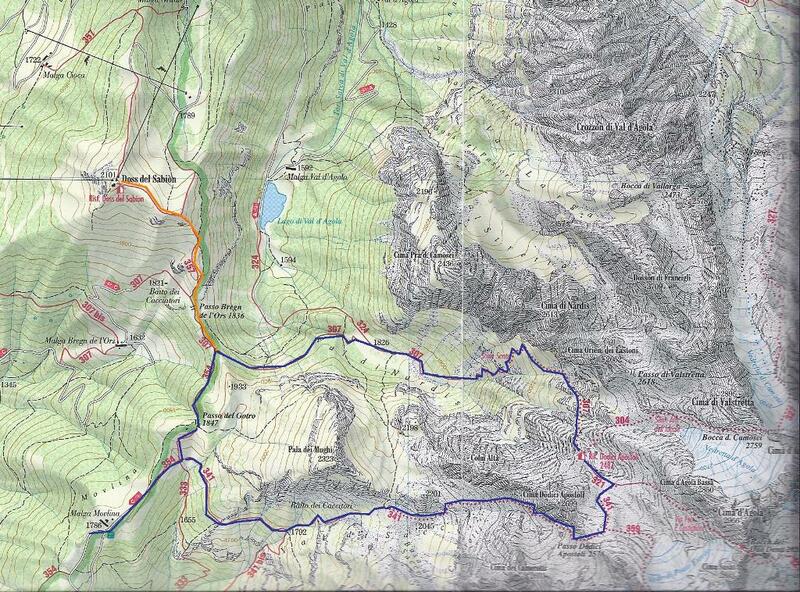 (Warning: after the Busa Fonda hollow the path becomes less and less clearly marked and it is easy to miss your way).